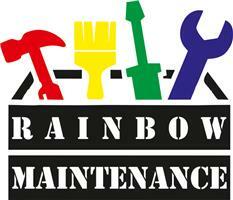 Rainbow Maintenance - Bathrooms, Bedrooms, Carpenter, Home Improvements, Kitchens, Painter/Decorator based in London, Greater London. Looking for an honest, reliable multi-trader to deal with odd jobs around your home, office or restaurant? A skilled handyman who can handle a small repair as well as full scale property maintenance and refurbishment projects? Then look no further. Rainbow Maintenance is a London based team of highly-skilled maintenance professionals who can help with anything you need when it comes to repairs, improvements and installations in your home or business. Whatever your requirement, we will be glad to provide you with an individual quote. We have extensive experience and excellent references. We provide free estimates, efficient service and competitive prices.